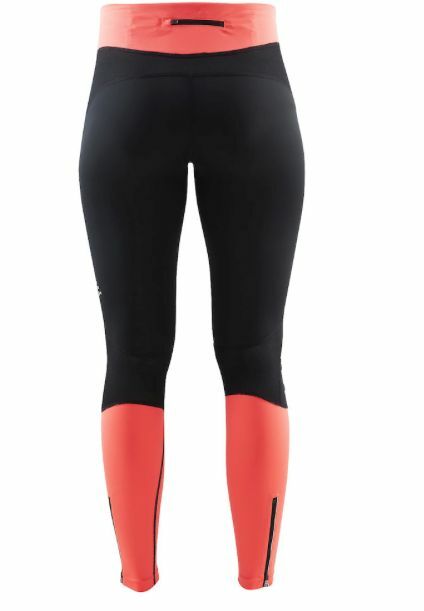 These nice and comfortable running tights are perfect for ladies who want to look nice during exercise. The fabric contains Lycra, engineered to provide exceptional recovery power, fit and freedom of movement. 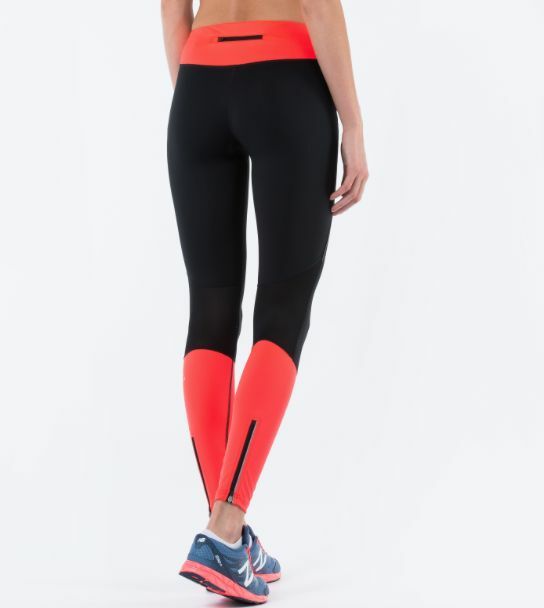 These running tights are not only soft but also firm, which makes them ideal tights for yoga, fitness and/or running. The fabric is also quick drying. 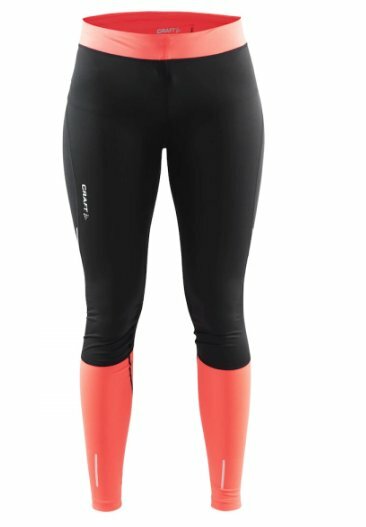 The wide elastic orange waistband with a string to make it more tight ensures that these the running tights have a good fit. They also have a handy storage compartment at the back of your phone and / or keys. 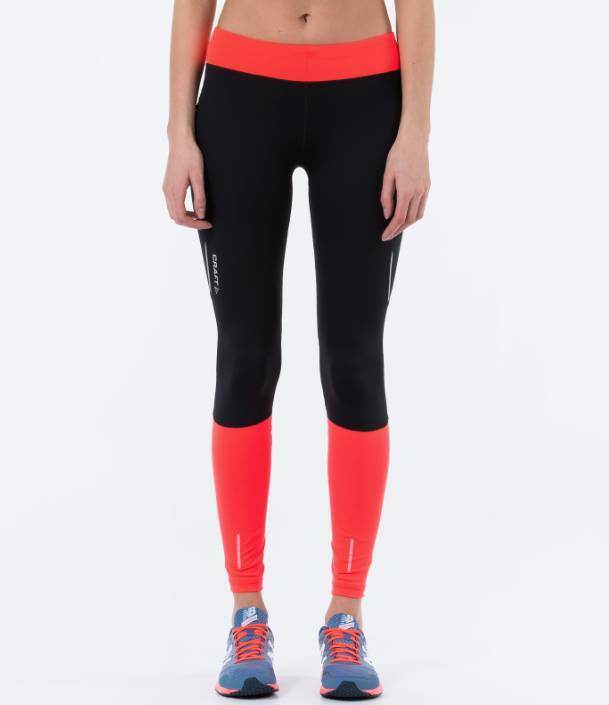 The bottom of the running tights have reflective stripes which makes you visible in the dark. Do you want these soft and comfy tights? 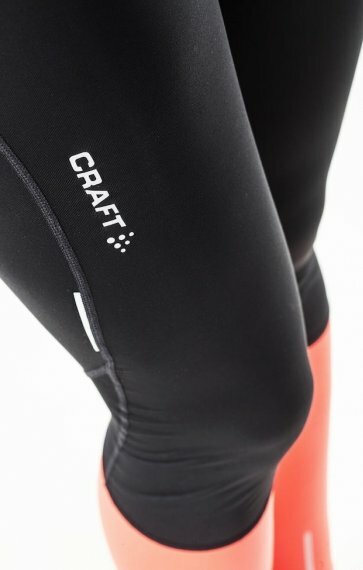 Do not wait any longer and order quickly this beautiful Devotion tight Craft!